The Market Salad is the go-to for flavor-seeking guests all over the country. 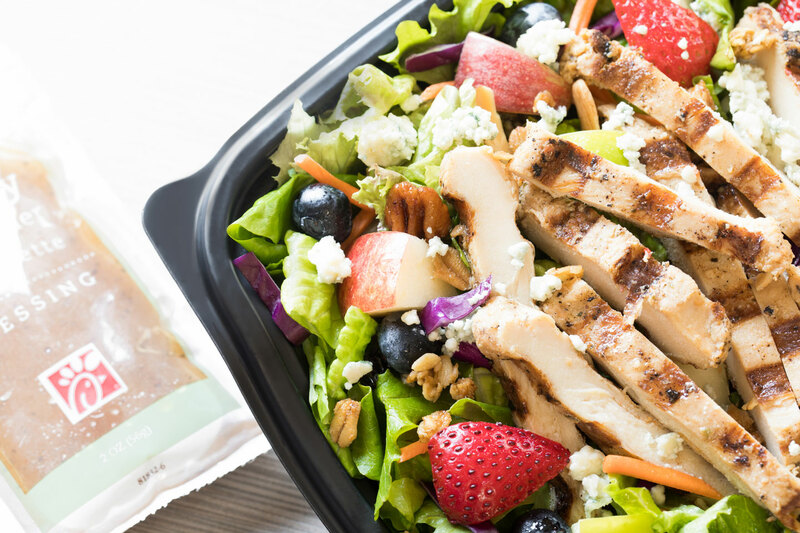 Not only is it topped with grilled chicken, a lean protein that will keep you full, the salad is also packed with antioxidant-rich berries, leafy greens and other superfoods. - The Zesty Apple Cider Vinaigrette and the Market Salad are a match made in the lettuce patch. “The black pepper notes in the dressing really make the salad ingredients sing,” says Cook. - For a lower-calorie option, try the Light Balsamic dressing. The real balsamic vinegar, which is sweetened with orange juice, pairs beautifully with the fruit in this salad. The Cobb Salad is not just a top pick for the test kitchen staff, it’s the best-selling salad at our restaurants! The recommended dressing pairings for this protein-packed salad include one lighter option and one more indulgent choice. - For #cheatday, try the Avocado Lime Ranch. Its unique flavor combines the brightness of lime with the creaminess of avocado. No wonder it’s also the most popular dressing on the menu! - If you’re feeling lean and green, try the Fat Free Honey Mustard. It’s been beloved by customers for years and packs the craveable tangy flavor of real mustard. 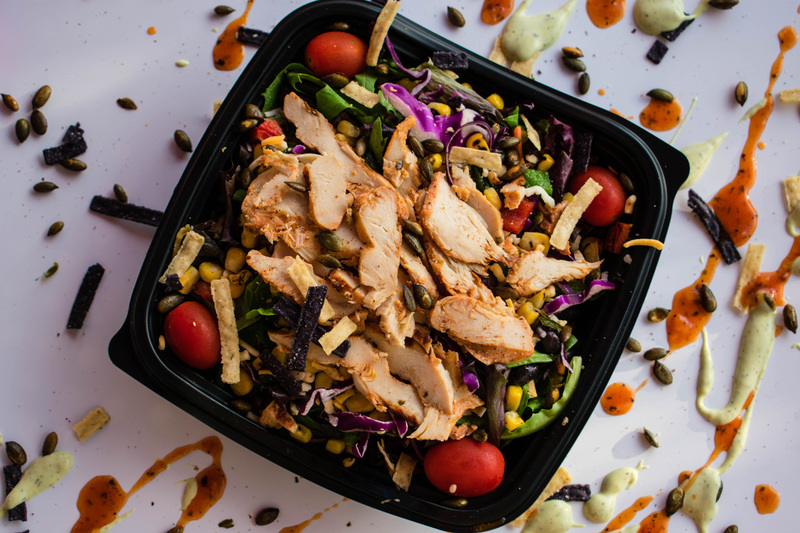 The Spicy Southwest Salad is a zesty option that features thinly sliced spicy grilled chicken breast. It also pairs perfectly with two salad dressings, each created with this salad in mind. - For customers looking for a lighter option, the Chili Lime Vinaigrette only has 60 calories per pack. 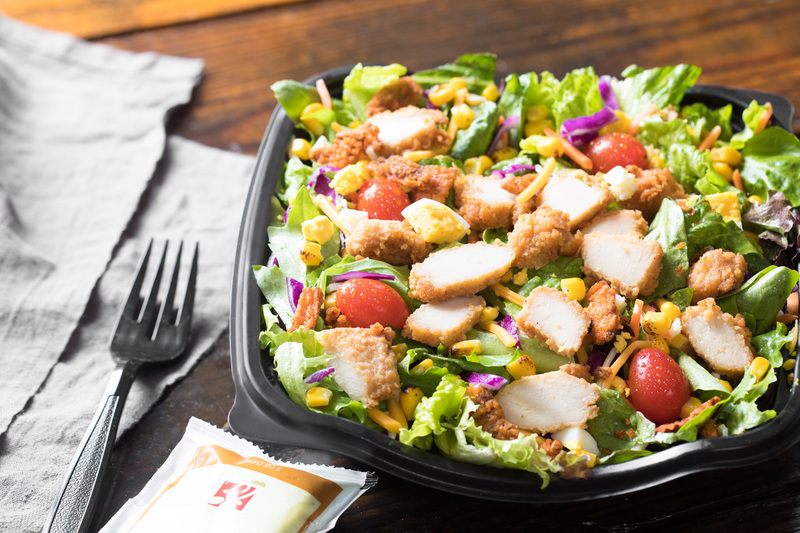 The recipe developers wanted it to be sweet and cooling because the salad packs the heat of our spicy chicken filet. - Feeling saucy? Go for the Creamy Salsa Dressing. “It was designed to have that perfect bite of dairy creaminess with zesty tomato salsa,” says Cook. Looking for a salad dressing that doesn’t play favorites? These salad dressings pair nicely with any of the entrée salads on the menu and with the side salad. - Garlic & Herb Ranch is a creamy home-style ranch with the zest of fresh herbs. - The Light Italian dressing packs a punch of flavor at just 25 calories. For the team in the test kitchen, dressings are sometimes enjoyed with no salad bowl in sight. “My favorite pairing is the Chili Lime Vinaigrette dressing with the Grilled Chicken Cool Wrap. I call it a portable salad!” says Cook. Whether you prefer to get saucy with the Creamy Salsa or prefer to stay cool with Fat Free Honey Mustard, you’ve got the power of the Chick-fil-A chefs on your team as you choose how to dress your greens. Do you have a favorite salad dressing pairing? “Lettuce” know. You can find us on Facebook, Twitter and Instagram.